Tony Young returns with his new album; conceived around the finalization of his previous work, 'Werewolf Country'. With this latest offering, Young presents an album that offers light to the darkness that presented itself on that release; drawing on harmonies and sounds sculpted in his mind's eye, whilst making his brisk daily walk to work, through and past the local parkland where he resides. Offering up eight new tracks and two essential remixes by long standing friends Displacer and ESA, Young has carefully chosen sounds that he feels benefit the rich frequencies that only vinyl can present; and indeed, these tracks were created and chosen with that format specifically in mind. 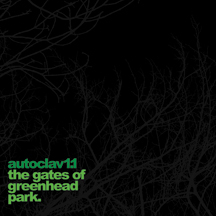 'The Gates of Greenhead Park' utilizes rich orchestral and electronic juxtapositions, complex rhythmic patterns and the odd smattering of club enthused sensibilities; whilst paying homage to the warmth and ambience driven by nostalgic long summer evenings, as the sun sets low in the sky across the industrial valleys of his home town.